We have big dreams for this app and website to be much more than a broadcast. Our dream is that people will use our content to learn, grow, and challenge themselves. Like you! Our dream is to build more than a mobile app, but to develop a transformative community. Our dream is that you will choose to share our content with people in your life – your family, neighbours, or someone from the train, carpool, lunchroom, or wherever. Our dream is to see a network of these discussion groups “on the go” and that in about a year, we’ll come together for one giant party. When you are ready, we’d love for you to register your group below, especially if you’re open to others joining you! 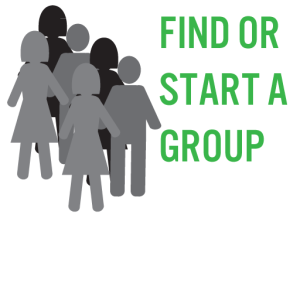 Everyone taking our courses and challenges can start a group. If you have started meeting with others to discuss our courses, please let us know below.